The idea of needing assistance with your day-to-day needs may be far from your mind or the minds of your loved ones. This is particularly true when you have spent your life being fully capable of taking care of yourself. No doubt, considering the potential need for long-term care is not a pleasant task, but you should be familiar with your options. Let our nursing home lawyers explain what you need to know. Everyone doesn’t need long-term care, do they? The reality is, many seniors will have a need for some form of long-term care at some point in time. In fact, many will eventually require nursing home services. 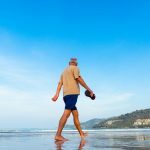 According to some reports distributed by governmental agencies, almost seventy percent of seniors in the United States will ultimately require some form of living assistance. This is very significant when you think about the fact that so many people will need assistance with their daily activities. 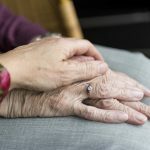 Before that time comes, you should have a plan in place in order to deal with this potential need and our nursing home lawyers are here to help. When you read the above statistics, they may get your attention, but you may not be concerned because you know that you will be qualified for Medicare coverage when you attain senior citizen status. Medicare will certainly provide a foundational source of health insurance, but unfortunately, Medicare does not pay for nursing home care. 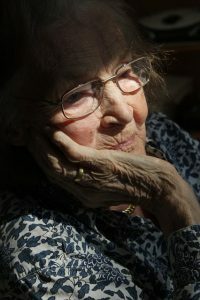 The program is set up to pay for convalescent care after an injury or illness, but it does not pay for custodial care. One widely embraced solution is Medicaid. This government health insurance program does pay for long-term care. However, qualifying can be difficult, because it is a program that is only available to people that can demonstrate significant financial need. To qualify , you must plan ahead in a careful and informed manner. If you would like to discuss Medicaid planning strategies, our elder law attorneys can help. Why should I prepare a Medicaid plan? Now, some might wonder why there would be any need for planning if Medicaid can cover those costs. After all, the program was designed to help low-income Americans get health care coverage, right? The problem is that the Medicaid program’s eligibility standards include limits on both assets and income – and many seniors often struggle to meet those limits. While it’s true that those seniors can deal with the income limits by establishing a Qualified Income Trust, that applies excess monthly income to the nursing home, in a way that enables applicants to meet the eligibility standards, assets can be more problematic. There is, of course, no requirement to plan for nursing home costs. We’re all free to ignore the need for planning and simply wait until we know that we need that care. It is important to remember, however, that waiting for the need to manifest can leave us with fewer options when it comes to securing the benefits we need. Those emergency options often result in fewer assets preserved and can even leave some seniors with almost no legacy to leave behind for their loved ones. Join us for a free seminar today! 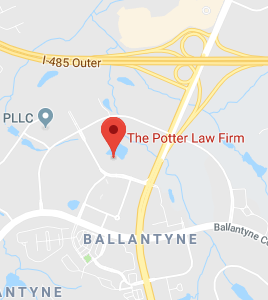 If you have questions regarding nursing homes or any other elder law matters, please contact the experienced attorneys at The Potter Law Firm for a consultation. You can contact us either online or by calling us in North Carolina at (704) 944-3245 or for individuals in Kentucky at (606) 324-5516 (Ashland, KY) or at (859) 372-6655 (Florence, KY).